Hello! Anyone up for a Valentine Challenge? Rules: Make any (new) Valentine themed treat, card, etc using your Jaded Blossom stamps and dies. Link it up here by February 14th, 11:59 pm to be entered to win! 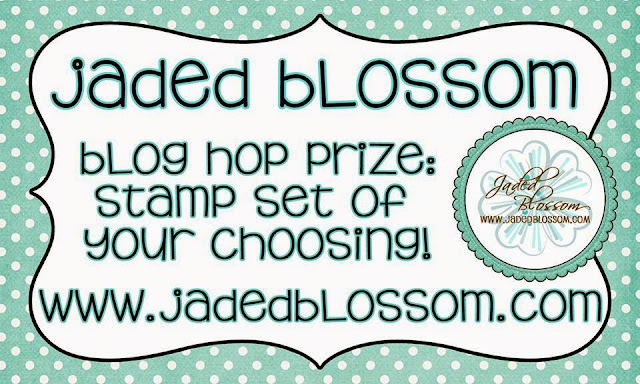 One winner will win their choice of a stamp set, including one of the new ones being released next week! Not only that, but all projects linked up will be shared on our Instagram and Facebook page!! Please leave a comment here after you've linked up! We can't wait to see what you've created. EEK!! I so hope I can play along!!! OMG! I'm the first to enter this fun challenge! Can't wait to see all the projects! Yay! I finally got to enter a challenge again! Thanks so much for a fun little challenge! This Is so fun love the new Lovers day stamp set!!! Fun Thanks for the challenge!! Thanks for a FUN challenge!!! I'm so glad I was able to find time to play along! What a fun challenge! Such a fun challenge, thank you. Finally got my picture posted!!! Everybody did awesome!! !